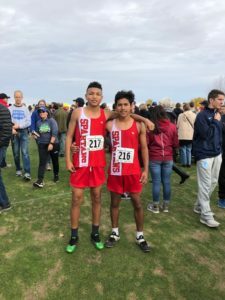 Granger Spartan Cross Country ran at the State Meet in Pasco. Boys Results: 61st Omar Solis-Meza 17:43.20, 89 Carlos Perez 17:56.60. 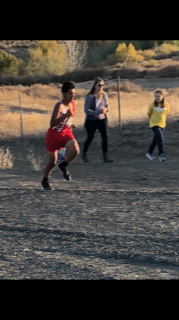 Granger Cross Country ran at the District Meet at Apple Ridge on Thursday, October 25th. Carlos Perez and Omar Solis-Meza qualified for the State Meet. 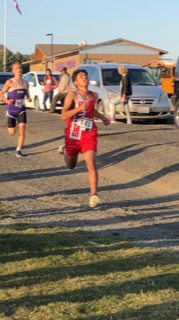 Boys Results: 18th Carlos Perez 16:47.0, 19th Omar Solis-Meza 16:48.7, 60th Jonathan Bustamante 19:56.1, 63rd Jose Vargas 20:14.3, 64th Rafael Colmenares 20:22.1, 69th Adam Asher 21:10.7, 70th Noel Guillen 21:30.0, 73rd Julian Mendoza 22:16.0, 75th Ethan Umtuch 23:05.2. Girls Results: 46th Keely Guisinger 28:28.1, 49th Nazarena Godinez 30:36.5, 50th Briseida Sabalza 32:44.7. 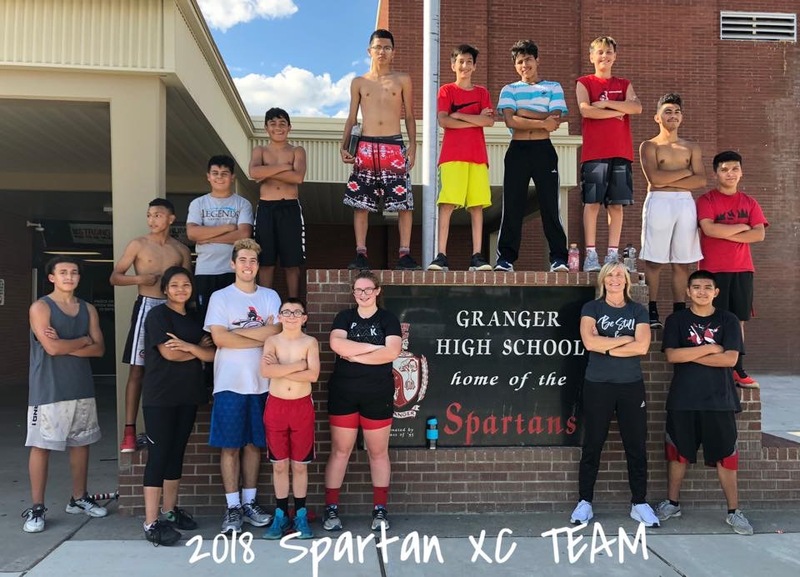 Granger Spartan Cross Country ran at Connell High School on Thursday, October 18th. 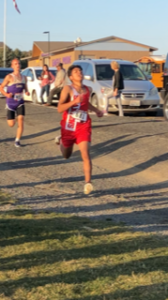 Boys Results: 7th Omar Solis-Meza 18:04.77, 10th Carlos Perez 18:40.36, 28th Jonathan Bustamante 21:16.51, 31st Rafael Colmenares 21:35.81, 36th Jose Vargas 21:58.30, 44th Adam Asher 22:59.41, 46th Noel Guillen 23:09.20. Girls Results: 13th Keely Guisinger 31:35.51, 14th Nazarena Godinez 33:56.16, 16th Briseida Sabalza 35.20.63. 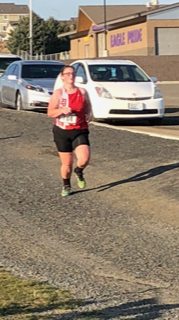 Granger Spartan Cross Country ran at Goldendale on Thursday, October 11th. Boys Results: 4th Omar Solis-Meza 17:39.80, 9th Carlos Perez 18:16.10, 42nd Jonathan Bustamante 21:32.10, 43rd Chris Villa 21:34.00, 44th Rafael Colmenares 22:06.70, 48th Jose Vargas 22:15.50, 49th Adam Asher 22:16.70, 52nd Richard Sanodval 23:10.10, 55th Julian Mendoza 24:07.80, 56th Noel Guillen 24:14.70, 59th Ethan Umtuch 24:44.00, 60th Ernie Valdez 26:45.80, 61st Jonathan Salazar 27:49.60, 62nd Elijah Guisinger 28:31/80, 63rd Cristian Cuevas 29:21.00. Girls Results: 20th Keely Guisinger 31:52.70, 21st Nazarena Godinez 33:33.70, 22nd Briseida Sabalza 35:05.90. Granger Spartan Cross Country ran at the Max Jensen Richland Invitational on Saturday, October 6th. Boys Results: Division II: 42nd Carlos Perez 17:31.15, 94th Jonathan Bustamante 20:28.68, 96th Jose Vargas 21:08.79, 97th Rafael Colmenares 21:14.27. Girls Results: Junior Varsity: 204th Keely Guisinger 31:22.88, 206th Briseida Sabalza 32:25.38. 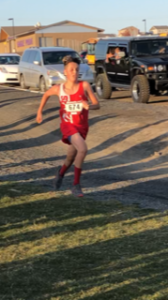 Granger Spartan Cross Country ran at Apple Ridge on Thursday, October 4th. 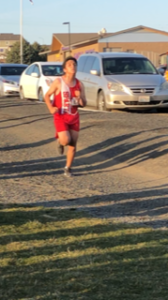 Boys Results: 1st Omar Solis-Meza 17:09, 3rd Carlos Perez 17:43, 14th Rafael Colmenares 20:56, 17th Jose Vargas 21:38, 23rd Julian Mendoza 23:09, 25th Ethan Umtuch 23:30, 27th Jonathan Salazar 26:19. Girls Results: 9th Keely Guisinger 31:19, 11th Briseida Sabalza 34:07. 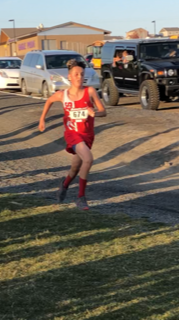 Granger Cross Country ran at the Sunfair Invitational in Yakima on Saturday, September 29th. Boys Results: Top Flight 25th Omar Solis-Meza 18:03.63, 2nd Flight 23rd Carlos Perez 19:07.39, 3rd Flight 31st Jonathan Bustamante 21:27.81, 4th Flight 25th Rafael Colmenares 23:09.17, 5th Flight 27th Jose Vargas 23:06.39, 7th Flight 28th Richard Sandoval 22:12.57. Girls Results: No Varsity Results. 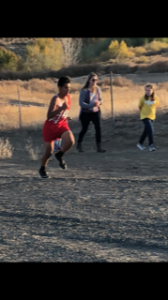 Spartan Cross Country competed at home on Thursday, September 27th. Omar Solis-Meza placed 2nd and Carlos Perez placed 6th for Granger. Boys Results: 2nd Omar Solis-Meza 19:01.17, 6th Carlos Perez 19:42.89, 21st Jonathan Bustamante 22:48.36, 24th Chris Villa 22:59.70, 25th Adam Asher 23:05.92, 27th Rafael Colmenares 23:35.77, 31st Richard Sandoval 23:53.61, 32nd Jose Vargas 23:59.52, 37th Noel Guillen 24:50.42, 40th Julian Mendoza 26:56.36, 41st Ethan Umtuch 27:24.95, 46th Cristian Cuevas 29:19.70, 48th Jonathan Salazar 30:32.24, 49th Elijah Guisinger 30:48.27. Girls Results: 17th Keely Guisinger 35:50.49, 18th Briseida Sabalza 45:00.17. Spartan Cross Country ran at the Connell Invite 5000m Varsity Race on Saturday, September 22nd. 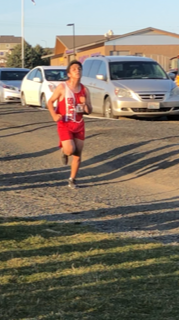 Boys Results: 26th Omar Solis-Meza 18:49.88, 29th Carlos Perez 18:56.18, 65th Jonathan Bustamante 22:43.80, 66th Jose Vargas 22:48.07, 69th Rafael Colmenares 23:15.24, 71st Richard Sandoval 24:05.89, 76th Noel Guillen 27:26.32. Girls Results: No Varsity Competitors. Spartan Cross Country ran at the Apple Ridge Run on Saturday, September 15th. In the 3 Mile Varsity 2 race boys results: 36th Carlos Perez 17:52.6, 45th Omar Solis-Meza 18:13.4. In the 3 Mile Varsity 2 race boys results: 102nd Briseida Sabalza 40:08.7. 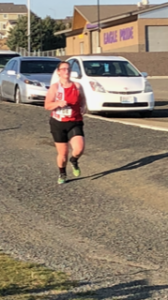 Granger Cross Country ran at the Ellensburg Invitational Relays (1.5 mile) on Saturday, September 8th. Boys Results: 2nd Omar Solis-Meza, 5th Carlos Perez 9:27, 15th Jose Vargas 10:52, 19th Richard Sandoval 11:12, 28th Adam Asher 11:53, 35th Jonathan Salazar 13:08, Elijah Guisinger 13:53.